This application is a free, open source software application for recording and editing audio. 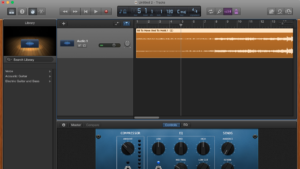 Though the features available in this software are not on par with expensive, professional digital audio workstations, this app has proved to be indispensable to many for more basic audio editing and recording tasks, and is extremely popular. The app is available under a GNU General Public License, meaning it is essentially free to use for any legal purpose including commercial, with no limits on installations. One benefit of this arrangement is that multiple people have been able to contribute to the software, with additional features and bug fixes. The app itself is perfectly safe, as long as the version being downloaded is an authentic version of the software. A number of sites besides the official website provide downloads of the software, so be sure to check the reputation of the site you're downloading. And always keep antivirus software updated. Is Audacity Easy to Use? For the more basic tasks, this application is quite easy to use. 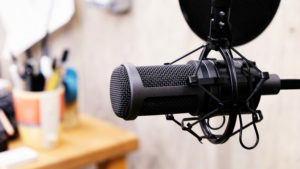 There is a learning curve when dealing with some of the more complicated tasks, such as working with VSTs or using the more advanced features, but in general this software is no more difficult than other audio editing applications. How to Cut Audio in Audacity? Cutting audio in this app works in much the same way it works in a regular text situation. First, ensure you are using the selection tool. Then find the start of the section you want to cut, click, and drag to the end of the section. Finally, click Edit, and Cut. 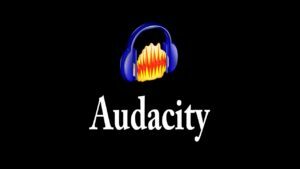 How Audacity Export MP3 File? Due to licensing issues, exporting audio to .mp3 is not natively supported in the application. In order to do this, you must first download and install the LAME MP3 Encoder on your machine. Once that is installed, Audacity can use the LAME libraries to export to mp3. Simply export as normal. This application does support VST plugins, however it does not support VST instruments. The VST library files need to be in Audacity's plugin folder, however. 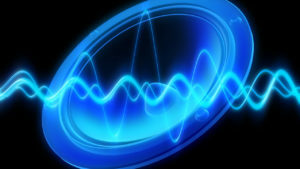 The official website contains a number of links to related information, including sites where plugins that are known to work with the software can be found. Does Audacity Work With Windows 10? This application is compatible with Windows 10, and can be installed just as you normally would with any other version of Windows. The differences in Windows 10 mean that the system requirements to run Audacity are slightly higher, and some issues are known. But in general, the software works just fine on Windows 10. How to Download Audacity for Windows? In order to download the application for Windows, it is highly recommended that you download from the official website so as to avoid the risk of accidentally downloading malicious software. Simply go to the website, head to the site's download section, select "Windows", and download. The same applies to other platforms. Audacity How to Record Computer Audio? In order to record computer audio, you first need a way of capturing it. Some systems provide a "Stereo Mix" virtual recording device, which will capture all of the computer's outputs. In this case, simply set the recording device to that and record. Otherwise, a hardware alternative may be needed.